The MAWHC Queen contest will held after the midway point of the show season. The date and contest criteria will be determined yearly by the Queen Contest Committee and approved by the Board of Directors. Obligations of the Queen are determined by the Board of Directors and the Queen's Committee. Age is determined as of January 1st of current show year. To qualify as a contestant you must: Be a MAWHC member in good standing. Be within 14-21 years of age. 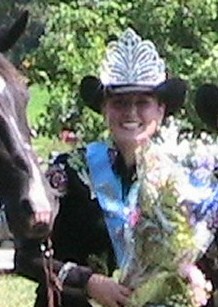 Have participated in a minimum of three (3) MAWHC shows, prior to the contest, during the current show season.